Change is a constant in business and life. One of the core skills managers should develop is the skill of helping their team transition through change. You will notice I didn’t say manage change. Change is messy, never follows a linear path and is full of emotional “stuff” that can blow up when you least expect it. The best you can hope for is a smooth transition. 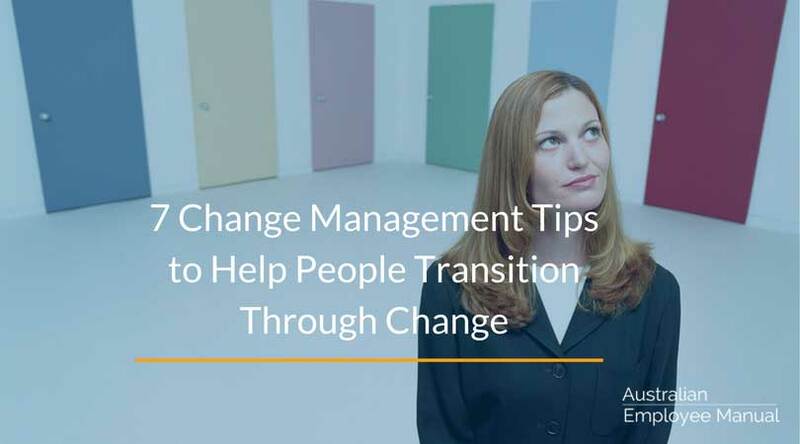 So how do you as a manager help people transition through change? Here are a few tips that I shared with my team leaders and managers during one too many organisational change processes in government. 1) Work out who’s going to be in transition because of this change and how this will affect them individually and as a group. 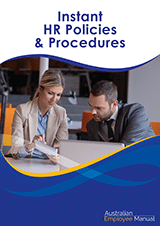 2) Provide as much information to your employees as is reasonably and prudently possible. There are no information vacuums in times of change. The best way to control the grapevine is to provide consistent, frequent and reliable information. Discuss the positives and negatives of change as well as the rationale for the change. Over-communicate rather than under-communicate (and when you think you are over-communicating – communicate some more). 3) Build in ways to help people let go of the past. Explain the process. Giving people tools to explain their behaviour and emotional responses can “unblock” the process. Allow space for venting feelings. Be firm with regards to the basic position but flexible with inconsequential items. Show concern for your employees. Encourage staff discussions of change and their reactions to it. Allow time for personal and collective stocktaking. Work to re-establish control, understanding, support and purpose for your employees. People need some control somewhere – help them create areas of control. They need to understand the change and their reactions to it – work to help them increase their understanding, set up or improve a support system, and have a sense of personal purpose. Focus on quick successes and small wins. Encourage your team to let go of the old. Praise positive behaviour and give constructive negative feedback if needed. Generate involvement in the solution by engaging your team in the problem-solving process. 4) Allow symbolic endings (eg: farewell parties). Let employees sum up their past experiences and don’t jump on them for dwelling on the past. Talking it through helps them to let it go. 5) Facilitate the beginning of the new. Clearly articulate the new behaviour and attitudes that the changes are going to need to work – don’t be abstract, be specific. What people need to know is: What’s the attitude? What’s the behaviour? Tell me how I am supposed to be handling this? 6) Reduce, to the extent you can, the number of changes that you are dealing with at the one time. This is not the time to throw a whole pile of change into the mix to “get it all over and done with in one fell swoop”. 7) Manage your own transition. Actively seek information about your own losses, and accept that you also will go through a period of mourning. Take time alone to think and imagine. And the biggest tip, vent only with your family or other managers in private (and even then, expect at least one other manager to let slip in confidence what you said). Change is a part of life. How you manage the impacts are up to you.